The Adventures of a Mary Crest Teen! 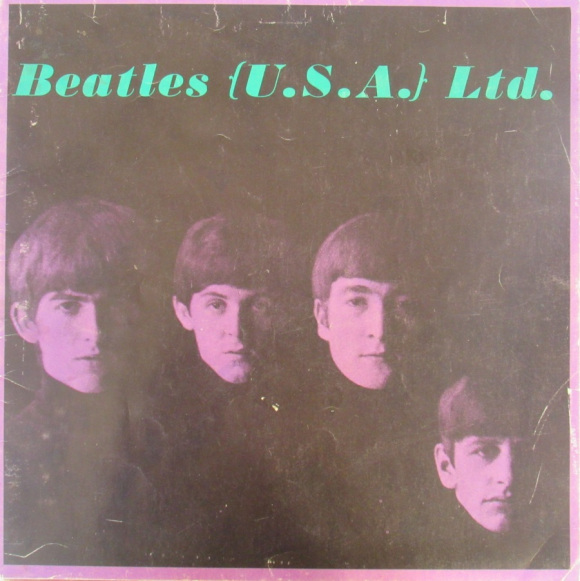 My nearest brush with the Beatles was a very distant and remote experience. 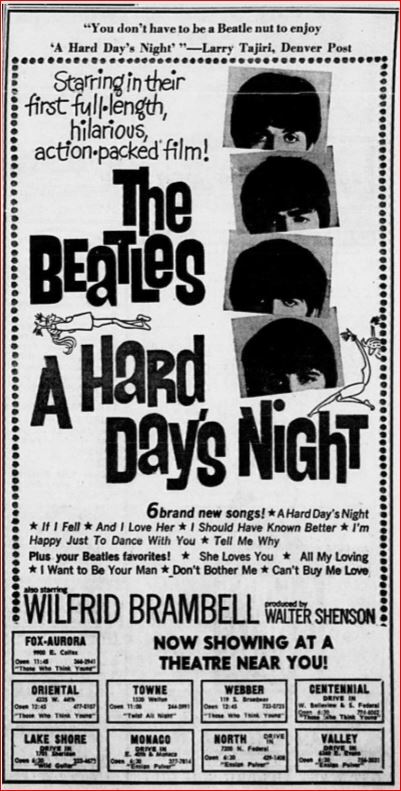 The Beatles were in Denver for their 1964 Red Rocks concert appearance. I didn’t get a ticket. Instead on that Wednesday – August 26th, I was scheduled to work at the nearby Miller’s Supermarket where I was a lowly caddy. Just before I left for work I heard sirens up on Sheridan Blvd., in West Denver – just a block to the west of my home. A police escorted cavalcade pass by with a long lack limousine in trail. It was the Fab Four heading for Red Rocks. That is it for me for live appearances. But for my wife – Janet – it was a whole different story. 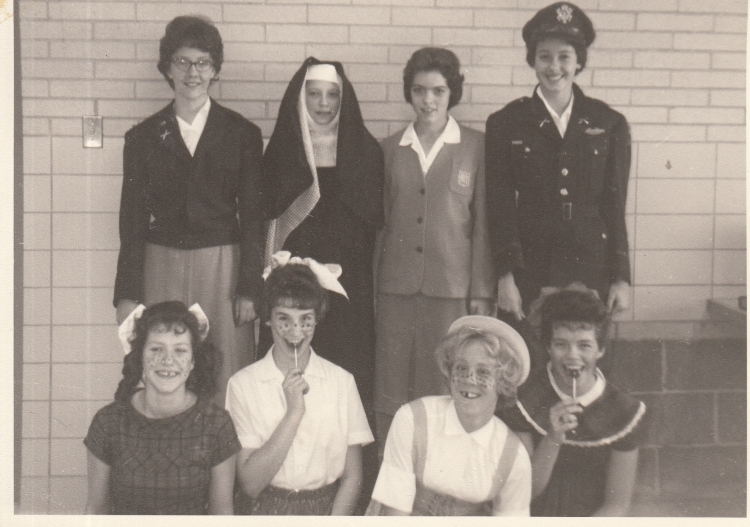 At the time she was just 17 (“you know what I mean”) – a senior at the now defunct Mary Crest girl’s Catholic High School in North Denver. Now it was crunch time. 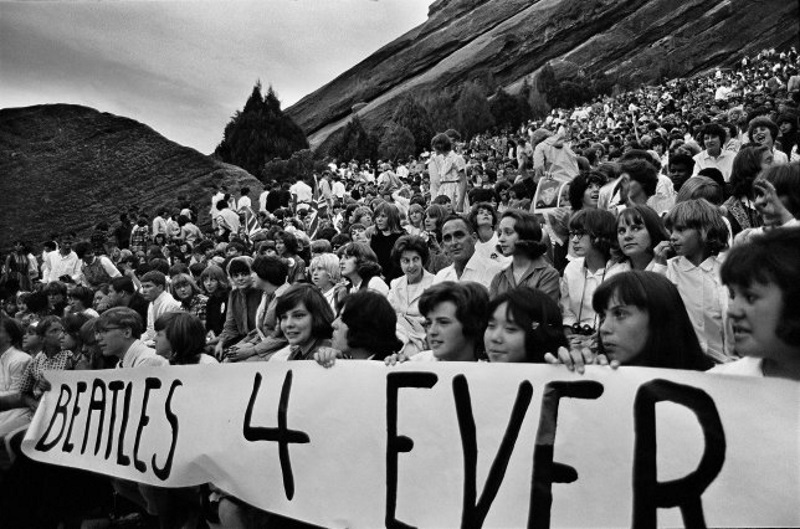 The girls joined thousands of others lining up early at the gates of the Red Rocks Amphitheater awaiting the magic. As show time approached the crowd began to surge toward the chain gates losing all semblance of an organized ticket line. When the chains were lifted the mostly young female surge could not be contained. 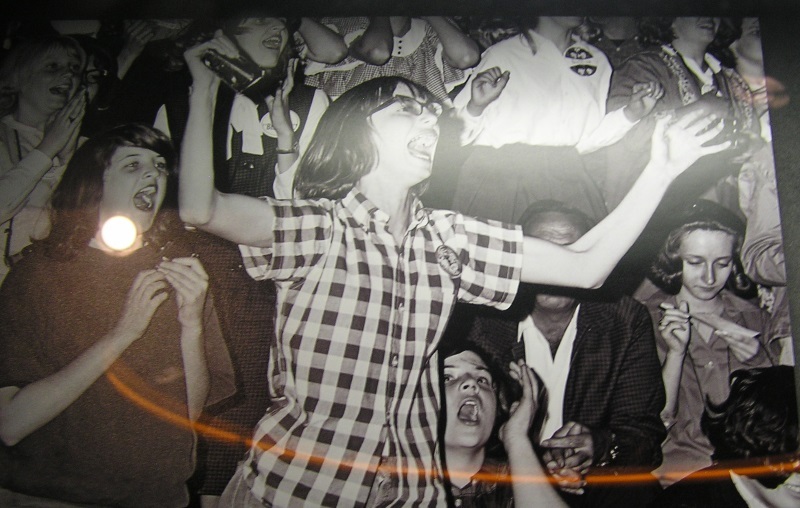 And thus, many of the Beatle Maniacs swarmed into the seating area without tickets being taken and torn. That is why my wife still sports this in-tact ticket shown below! She also hung onto her program! 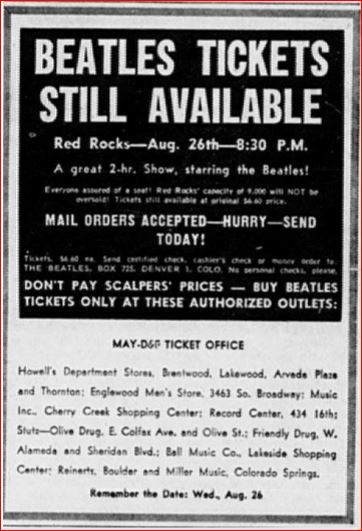 Legend has it that Red Rocks was the only non-sellout venue on the Beatles’ 1964 tour. But those who were there said it was full to the top. Photos of that night seem to verify this as well. Beatle Fanatic and West High Cowboy Class of 1964 – great friend Ken Aldrich was also at the concert and vouches for the full amphitheater. 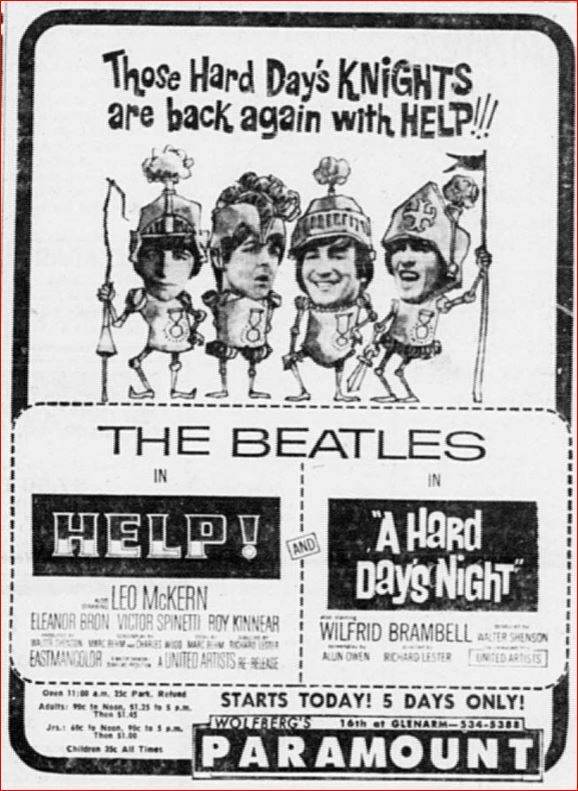 Check out the ticket price – an outrageous $6.60! 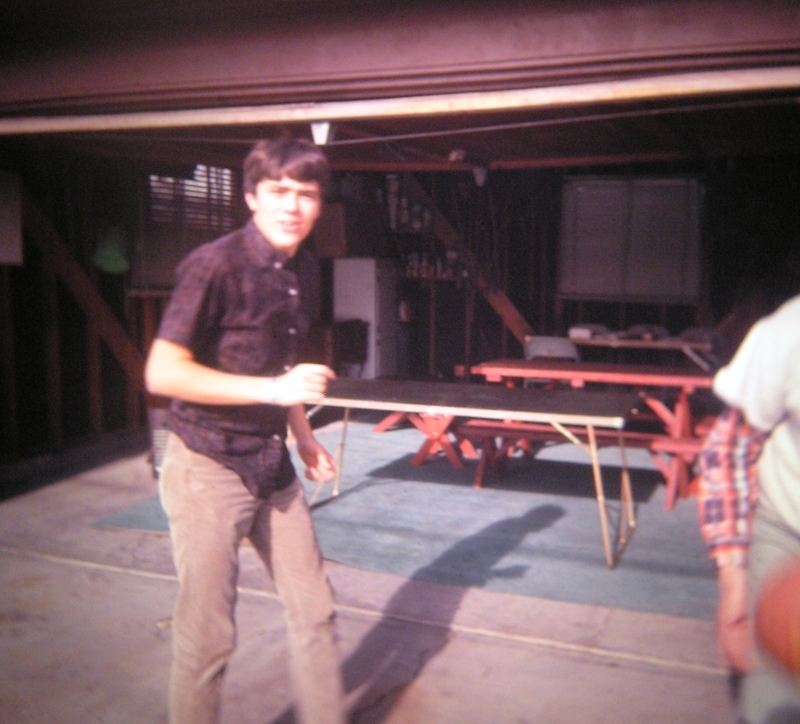 Here is Ken in my driveway the probably the morning before the big concert – He is seen here sporting his Beatle haircut! After the concert, he Beatle’s were housed in Denver’s Brown Palace. The hotel of course was being staked out by teenage girls all hoping for a miracle. My future wife and her friend decided to book at room at the adjacent hotel which was connected to The Brown via an over-street walkway. After they secured their room, they attempted to enter The Brown (which was heavily guarded) via the walkway. A hotel security person intercepted them and asked if they were guests. The girls both held up their room keys but to no avail. The security agent examined the keys and promptly turned them both around where they were sentenced to spend the night watching out their window without success. I like the second photo showing what must have been a father who must have accompanied his young daughter to the concert – a true camper! And the first Invaders at Red Rocks? Peter and Gordon a few weeks ahead of the Fab Four. 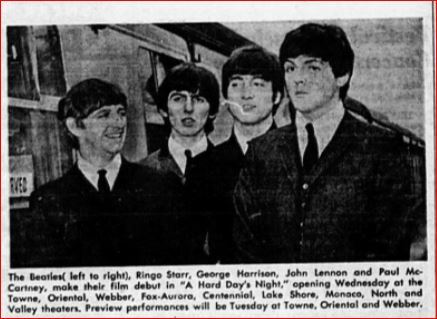 Back at the Brown – the Beatles were scheduled to depart for their next stop which was Cincinnati. The girls were back downtown to join the throngs at the entrance to the Brown. But my wife noticed that on the opposite side of the hotel (on the Broadway side) that many hotel staffers were gathered at the windows looking down onto the street below where the service entrance was. So the two girls decided to take a chance and hang around that entrance thinking “something was up”. Sure enough – the service doors flew open as soon as a limousine pulled up and out burst the Fab For on a dead run. Several hotel employees and several police surrounded them. But as they flew by my wife was able to take a grab and brush against John, and then right after – grab onto George’s coat – which he firmly yanked away from. Her girlfriend ran to the front of the limo and threw herself across the hood. The police promptly removed her and the Fab Four were on their way. 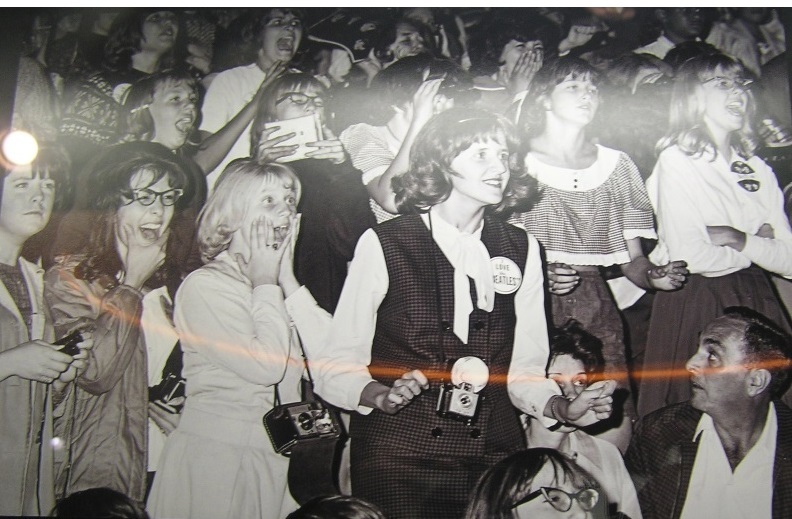 I have always loved her story about her brush with the Beatles – But just recently I came across the Denver Post photo clipping which she saved from the Morning of August 28th – taken as the Beatles departed. 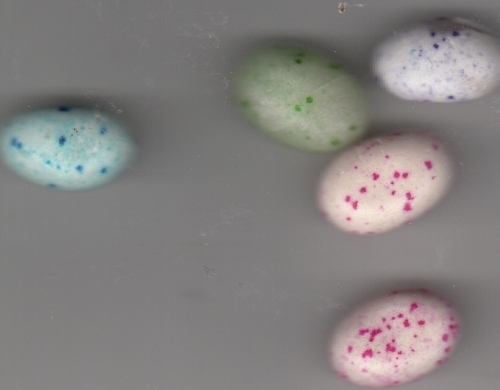 Neither one of us ever took a close look – but I did this time – a lo and behold! 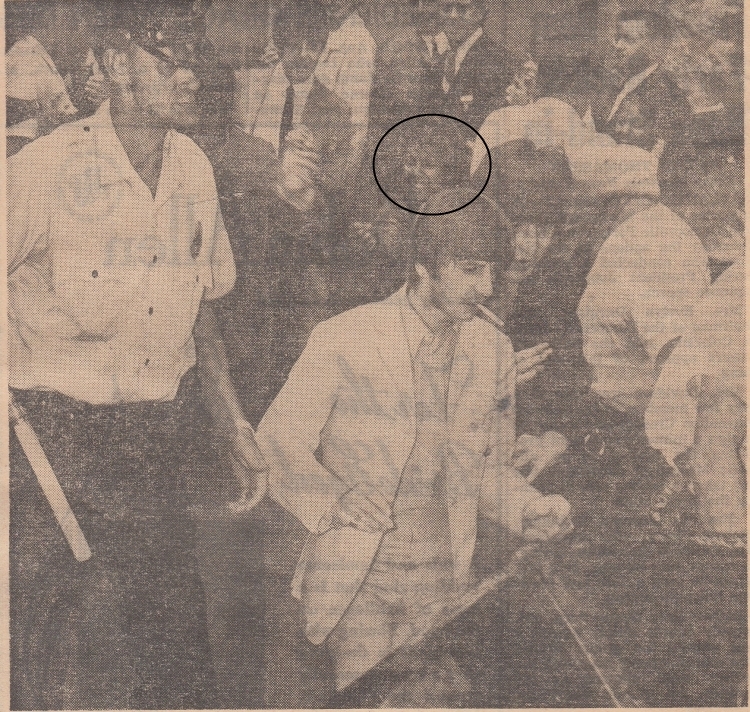 The girl in the circle is none other than sweet 17 (she denies it to this day but I know it is her) – just moments after her encounter with fame! 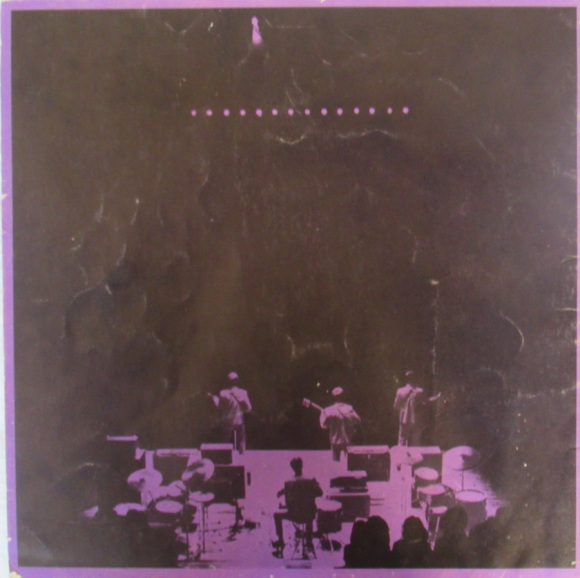 The “Jelly Babies” below were gathered up by the girls during the concert as the Fab Four were being showered with their “favorite” candy. Do you remember where you picked up your tickets? Great story Craig, thanks for sharing….